As we reiterated last week, Bungie is gearing up for its launch of Destiny 2: Forsaken. In an effort to really build up the hype, they have offered Destiny 2 as a PlayStation Plus free game. The Destiny 2 Annual Pass has already been confirmed by the developer, and we do know that players can now look forward to three major content drops after Forsaken‘s launch. Bungie also took the opportunity to lay out a roadmap for future content, as well as more details about the Destiny 2 Annual Pass. Today, D2: Forsaken’s game director Steve Cotton and project lead Scott Taylor were asked about any new locations that will crop up in Destiny 2 as well as what else is in store. “We’re going to have new places to check out,” revealed Taylor. “Sorry, I should be specific. What we call ‘bubbles’ or new spaces; I’m not saying new planets.” Cotton immediately followed up and confirmed they were not adding new planets over the next year. Of course, as we know, the Annual Pass content will each bring about the beginning of brand new seasons, which will be followed with free content in addition to the end game activities for Guardians who have purchased the Annual Pass. So, just to refresh your memory, Annual Pass players will get to check out Black Armory (Season of the Forge – December 2018), Joker’s Wild (Season of the Drifter – Spring 2019), and Penumbra (Season of the [Redacted] – Summer 2019). Now, while players will indeed get to explore new areas and a bunch of new locations in the game, it appears that Penumbra sees Guardians heading off to the Leviathan ship that was the location of the very first Destiny 2 Raid and subsequent Raid Lairs that launched with each expansion during year one. Have you guys played the original D2 yet? 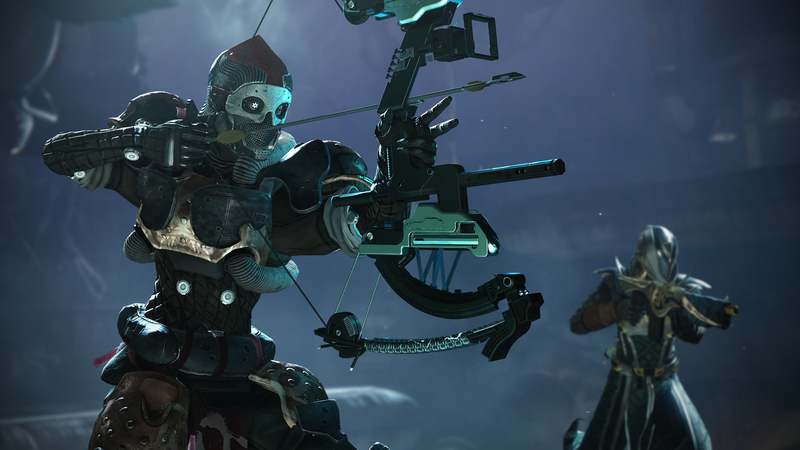 If you are gearing up to join Bungie’s vibrant community, you should know that Destiny 2 is currently free on Plus, giving players a sample of what they can get with the massive Forsaken expansion that is now available.